Let’s be honest. 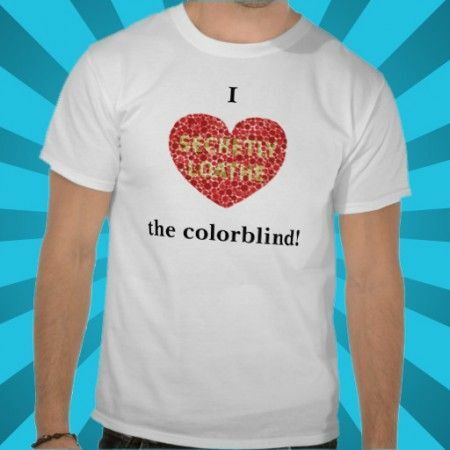 We all secretly loathe the colorblind. But you can’t tell them that, or it’s considered “offensive” or “discriminatory”. Just toss on this shirt next time you’re feeling bitter. You’ll be able to express your true feelings, and they’ll be none the wiser.